While the plan here is not to go back, it can really help to think that nothing you're doing is permanent, that if you realize you cut something important, you can restore it. So be sure to save the original version first, then save the version-to-be-cut under another filename. Just in case you want to UNcut later! 1) The first option is to cut a whole scene. That's a broadsword rather than a scalpel approach, but let's say you wrote this book in a white heat during Nanowrimo. There are probably scenes you wrote or started to write which ended up as unimportant or irrelevant, or you later did a better version and both versions are still in there. A whole scene might well be 5,000 words. That's a pretty good cut! And cutting it might make for a stronger, tighter plot. Then again, you might accidentally cut out something essential like a clue, or an important step on your character's journey, or the satisfying "reunion" scene the reader has been waiting for. 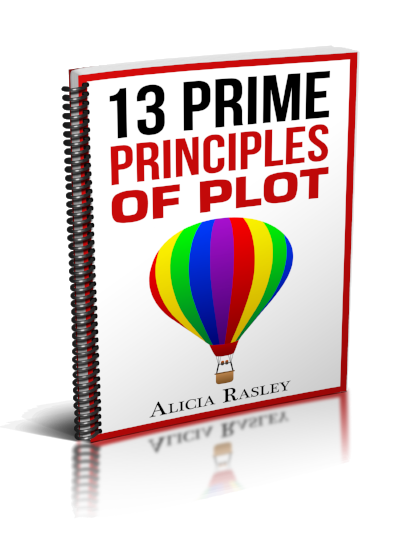 To do this, however, you have to look at scenes not as groups of words but as part of the action of the plot. So try this: Outline the book as you have it. Yep, a scene outline. List -- in order they occur, every chapter, and every scene or scenelet or passage (complete or not) within each chapter. Then you can evaluate if there are scenes that can be deleted without causing plot/emotion problems. 2) Look also for adjacent scenes that can be combined. That will let you delete some of the set up and transition between scenes. Be watching for "single-purpose" scenes, especially several in a row-- a scene where he argues with his brother, and then a scene were he discovers a clue to the mystery, and then a scene where he travels to where the robbery took place. You could combine those into one scene where he argues with his brother, leaves and discovers the clue, and ends with him deciding to go to the robbery site. Really, once you start looking at what happens from scene to scene, you might find several which can be combined. 3) If you can't cut a whole scene, look for passages (especially at the beginning) which are mostly set-up. That's where I found the most opportunities to trim, at the start of scenes, where I might have spent a couple pages describing the setting and establishing what the characters are doing there. 4) Look for mini-scenes (I call them "scenelets"-- 1-2 page bridges usually from one important event to the next) that don't much matter. Often these involve a main character interacting with a minor character or a "walk-ons" like a waiter who will never be seen again in the book. An example might be a cab ride to the convention hotel. There might be good character interplay with the cabdriver and give a good sense of the main character's mood, but if you want to cut, that's an example of a good 'non-essential' scenelet. Usually these aren't full scenes but intros to more important scene passages. You can always argue how this bit is important or clever or enlightening, but you know, you have to trim something, and a scene without an event to change the plot is usually trimmable. 5) Try the Jane Austen tactic-- in dialogue, if there's no conflict, do narrative summary. (They reminisced for a few minutes, then she remembered, and said insultingly, " ". :) There are going to be parts of scenes the reader needs that might have no conflict (like a moment of grace where two characters share a cigarette), but those are best kept fairly short and fairly rare. 6) Look for those passages where there's nothing-dialogue-- often when there's some movement from one setting to another. ("Let's go into the den and watch TV/What do you want to watch?/ I thought this season of The Voice was starting. Did you record that?/No, the last one was so annoying, I didn't bother. But we can probably get it on-demand." :) No, I never actually wrote that passage, but that's the sort of "transition conversation" that's usually easy to cut away. Because all this is so "voice-centric," it's probably best to do it yourself first and see how much you can cut. That way you'll still have control of the scenes and the interactions between characters and how that's presented. Then again, an outsider might be able to be more objective, as Theresa was with my over-long book. I can tell you from experience, trimming is hard to get started, and painful, but after awhile, it's easier to see where something can be discarded, or how scenes or sentences can be combined. Broadsword/scalpel -- any cutting experiences you can share?